This is one of our all time favorite desserts, hands down. It’s raw, contains no refined sugar, and is just nuts and fruits. 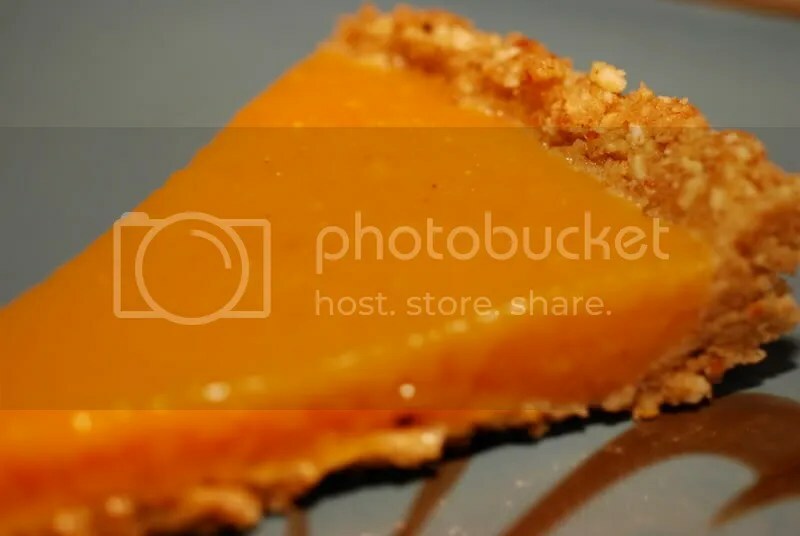 This is a pie that we have one night for dessert and then again the next morning for breakfast. Consider this one guilt free dessert whose secret identity is power food. 2. Process fruits and lime juice in food processor until smooth. Pour into prepared crust. 3. Freeze tart for 1 1/2 to 2 hours. Slice and serve. 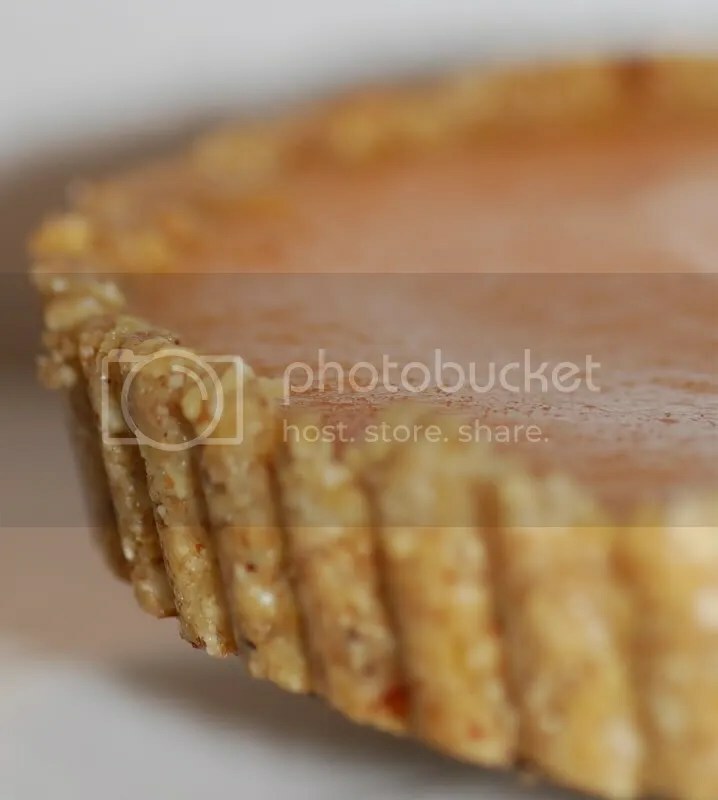 Am I nuts, or does raw pie look delicious? I love raw pie! hi gail! this looks soo good. i wish i was there, i would beg you to jam a to-go container full of raw pie for SURE. i miss you guys! i miss your delicious cooking greeting me every time i arrived in kihei. i’m off to the west coast, will keep you posted! xoxo. That looks delicious (as usual)! You know we’ll be trying this one! Get me to a papaya broker, quick! I LOVE raw banana pie creations…and it looks like the baby would enjoy this one, too, since it is sans sugar cane. Thanks for the great idea, gail! Sharon – We miss you, too! Going west … Seattle? I’m looking forward to an update. Courtney and Jennifer – Thank you for the kind words! Erin – I hope that the little guy likes it. The fruit in the middle can be whatever you have on hand. I’ve used the same crust with a mixed berry filling (simply berries tossed with agave nectar), with sliced apples covered with agave and cinnamon, and with a banana-mango combo. Be creative! My friend on Facebook shared this link with me and I’m not dissapointed that I came to your blog. Hi. Real solid info on Maqui Berry. I saw your pleasant blog while exploring bing. For the past few days I have been attempting to discover more. Especially anything to do with the diet talk. I’ve seen it all and my neighbor continues forcing her new weight loss craze on me. So I am happy I found you. Bye!